Music plays an important role in your videos. It can add tension to a dramatic scene, make the video more touching or become the iconic sound of your brand. For some social-media lovers, some catchy music might be all they need, if they want to grab the attention of their followers. If you’d like to add your local MP3 songs to video, there are many video editing programs available on the market, offering users an easy way to add music, would be the perfect choice for you. But to add Spotify music to your video project, you’ll have to turn to another music tool – TunePat Spotify Converter first, as all songs from Spotify are DRM-protected. The DRM protection will prevent users from taking Spotify songs outside of Spotify app. Don’t worry. In this article, we are going to show you how to use TunePat Spotify Converter to convert DRM-ed Spotify songs to MP3 format, so that you can add them to video clips with ease. 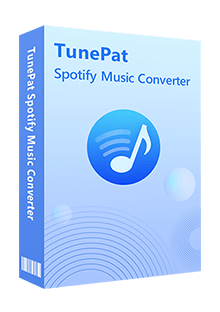 TunePat Spotify Converter is an one-stop Spotify music converting software, built with an innovative encoding technology, able to convert any Spotify song, album, playlist to MP3, AAC, WAV, or FLAC format without installing any extra software including the Spotify app. Based on this distinct feature, though TunePat Spotify Converter has a handful of rivals in the aspect of Spotify music conversion, it is the most prominent and handy. TunePat Spotify Converter is available on both Windows and Mac computers, here we take the Windows version as the example to show you the detailed steps about how to convert Spotify songs to MP3 format, and then you can add them to your video clips. Once the conversion is done, you can find your downloaded Spotify songs in MP3 format by clicking the "History" button on the bottom right corner. Now all your Spotify songs have been converted to MP3 files, you can import them to video editing program like Camtasia and add to your video as background music.